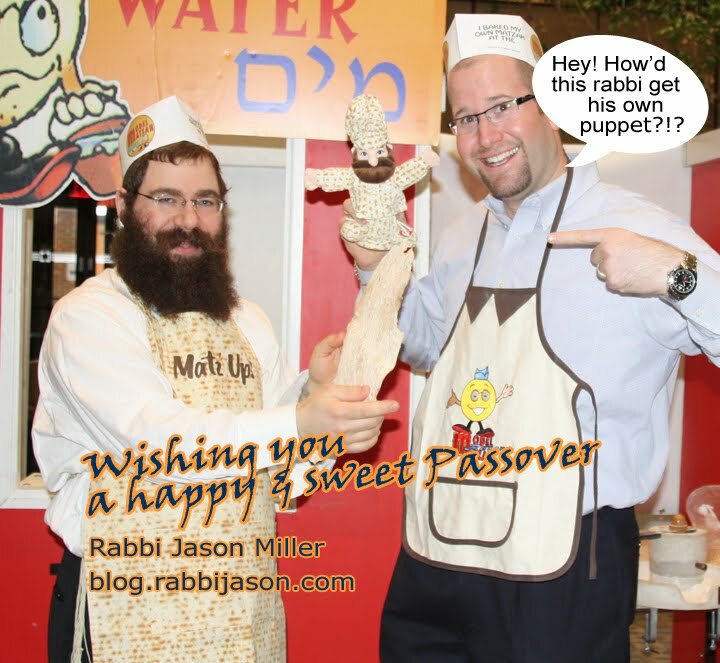 The Rabbi with a Blog (Rabbi Jason Miller): Happy Passover! On her Facebook page Palin posted a note wishing all Jewish people a Happy Passover. Superficially, it is a nice note. However I was amazed that Palin would pretend to embrace or respect Judaism, when she doesn’t. If you only read her note, you might think I am being too harsh, so let me explain. My husband is Jewish and we have celebrated Passover together for at least 27 years. I was raised Catholic, and while I haven’t converted, my kids are all being raised Jewish. In my home we celebrate both Christian and Jewish holidays, and respect the right of everyone to celebrate their chosen faith. Even though I don’t agree with Palin’s view of religion, I respect her right to worship as she deems appropriate. She fails to respect beliefs different than her own. Palin’s feigned respect for Judaism is misleading and insulting. Jews do not believe that Jesus was the son of God, and Evangelicals, like Palin, believe that a person can’t go to heaven unless they believe Jesus to be the son of God. I guess Sarah believes that my husband and kids are going to hell. It is these differences in religious belief that caused me to question the sincerity of Palin in wishing all Jews a “Happy Passover”.